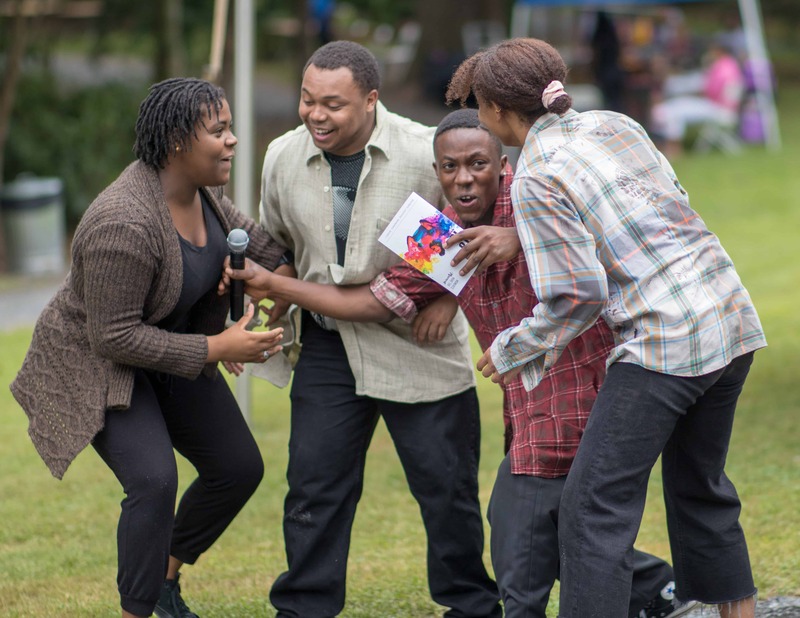 Kenny Leon’s True Colors Theatre Company’s Education Department strives to be a premier organization that adds theatre into the daily educational lives of students; therefore promoting respectful dialogue among cultures and fostering an appreciation for diverse viewpoints. We achieve this vision by educating students using a standards-based arts integrated curriculum that preserves both the rich canon of African-American classics and world drama through our all-encompassing 3P’s: pedagogy, partnerships, and performances. This program involves the selection of a children’s work from either a Language Arts, ELA or Media Specialists at the host facility. After selecting 2-4 books, TCTC will transfer this work into a stage play. This project will have a timeline that consists of selecting the piece, providing opportunities for students to rewrite the story after examining the plot outline. After our “young playwrights” generate a script, TCTC will provide the basic roles of Theatre Management. We will assign duties and responsibilities to participating students and prepare to take our performance from the “page” of the initial text to the “stage” of the host site. We can also invite elementary students in the neighboring cluster to come and see the performance. Act Like a Lady provides mentoring and meaningful art experiences for girls, ages 11-14. Their exposure to the various arts modalities allows the participants to become experts through their interaction and experience, which in turn serves as a springboard to make cultural connections, improve academic abilities, develop social skills, and fortify character-building. Ultimately, Act Like A Lady hopes to assist the participants in realizing their greatest value despite their challenging conditions or circumstances. The Education Department of Kenny Leon’s True Colors Theatre Company hosts the Annual August Wilson Monologue Competition. Open to all Georgia high school students, the competition focuses on the plays of August Wilson’s Century Cycle. Students perform a 1-3 minute monologue of their choosing from one of the ten plays in the Century Cycle. The top three winners are awarded scholarships and the opportunity to compete against winners from other participating cities in the National Finals on Broadway at the August Wilson Theatre. All applicants are invited to attend free acting workshops. In-school August Wilson workshops are also provided at the request of any teacher who has more than 10 students apply. Our Education Department also offers a variety of theatre curricula for teachers to implement in the classroom. From Professional Learning Units (PLU) including artistic assimilation, activating strategies that promote literacy in performing arts classes, project based learning for academy model instruction, “Acting-A Whole Body Experience,” and arts integrated curriculum for core classes to the Theatre Educators Alliance (TEA Party), we are committed to making theatre accessible to teachers and, in turn, their students. For more information concerning our educational opportunities, please contact us at education@truecolorstheatre.org or 404-532-1901 ext. 214.